Thank you to everyone following Alex's story and his fight against IPEX Syndrome. It's been a little over a year since genetic testing revealed the seriousness of Alex's medical condition and we now know the only hope for a cure for his disease is a bone marrow transplant. In December, 2016, he was officially placed on the Bone Marrow Transplant list. In February we were informed there were a few bone marrow donors with similar HLA tissue type to Alex....but none were more than an 80% match. Last week, Alex was examined by Dr. 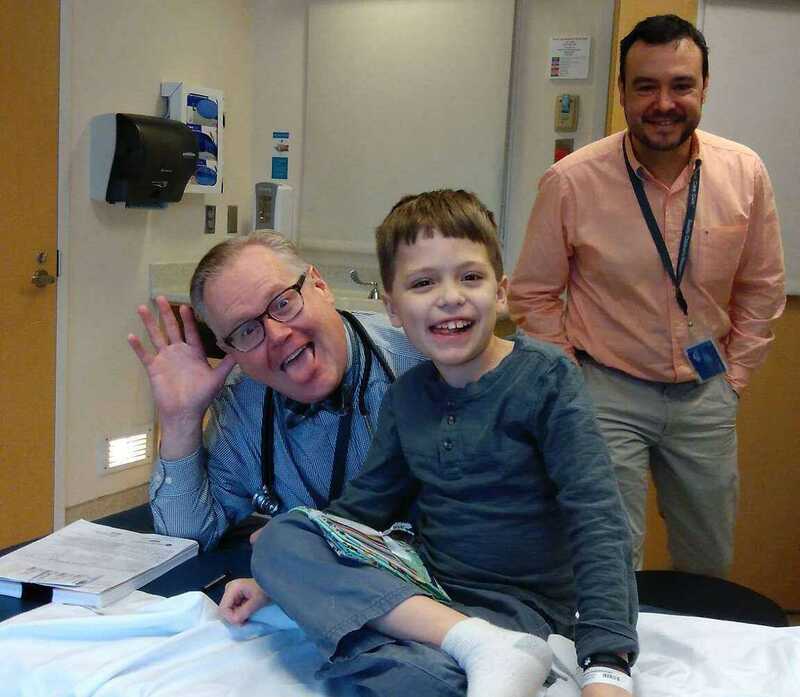 Troy Torgerson at Seattle Children's Hospital (the leading expert on IPEX Syndrome) and prior to that, by doctors at St. Louis Children's Hospital and they have all agreed the risk of rejection and serious complications from a bone marrow transplant from any of the currently available “close” donors is too high to proceed. Alex will remain on the Bone Marrow Transplant list and continue to wait for a donor who is a closer match. He is currently on weekly immune infusions and medications to hopefully keep his condition manageable. As many of your know, we have teamed up with Children’s Organ Transplant Association (COTA) to help them raise funds to help with transplant-related expenses and are asking for volunteers to help with fundraising events. Please see Alex’s new COTA website at www.COTAforTeamAlexS.com for details and updates. We thank everyone for your continued love and prayers and ask that you share his story of strength and courage. He is and always will be our "real life Superhero”!